Professional review of RevitaShape Anti-Cellulite Skin Toning Formula. 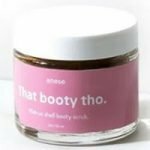 See how it compares against other cellulite creams. Follow us on social media for even more reviews, giveaways and cellulite-busting advice! Are Lasers and Liposuction Good Options For Cellulite Removal? Does Dry Skin Brushing Really Help Get Rid Of Cellulite? © 2019 Cellulite.com. All rights reserved.